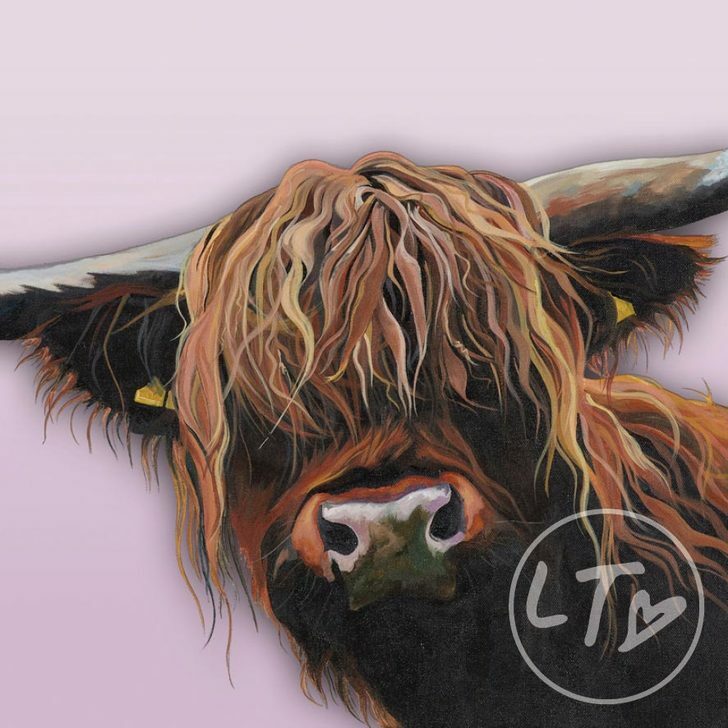 Named Chieftain as the alpha male of the Wykeham Village Highland herd. Don’t let the pink put you off. 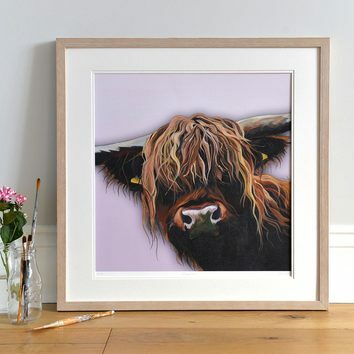 This traditional Highland makes a great feature in any room. The background colour helps to draw out all the oranges and purples in his coat. 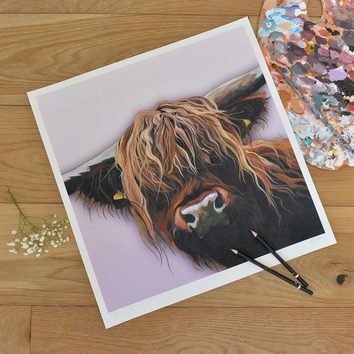 What's more, it’s amazing how a cow can have so much charisma when you can barely see his face for hair! For more impact try teaming up with Wallace, or Ruby. Also available as a card. Chieftain is one of the Highland Hard of tablemats and coasters. Please note all prints (mounted or unmounted) are sold unframed. Frames shown are for illustrative purposes only.